Step 1– Bathe – Use a shampoo that suits your hair type. Step 2 – Treat – Wash off the shampoo and apply a conditioner/masque to lock in the natural oils of the scalp. The new 3rd Step – ‘Regenerate’ – The INITIALISTE serum completes the process by adding a new step i.e. “Regenerate” to the regime, for stimulating the growth of radiant healthy hair. 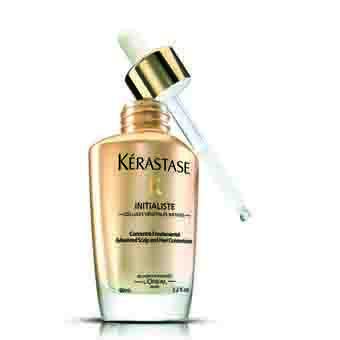 INITIALISTE is a leave-in product that is applied on towel-dried hair, directly on the scalp, just before styling. Take one to two pipettes, depending upon the thickness of the hair and gently massage with finger tips to spread the product evenly across the scalp. Next > Your chance to star with Sonam Kapoor!!! !